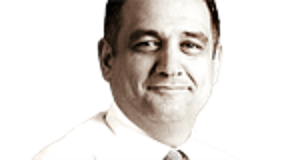 Why is Erdoğan not warm to the coalition option? The outcome of the election to be held this weekend arouses the curiosity of not only the people in Turkey, but also anyone who is connected to Turkey in one way or another. Actually, people are curious if a coalition government will be established after Nov. 1, given the fact that it couldn't be formed in the wake of the June 7 election. Anyone who is curious about this question predicts that the same four parties will secure seats in Parliament after the Nov. 1 election. They also know that their parliamentary seats will be similar to those they secured after the June 7 election, and therefore the need for a coalition government will be inevitable. Subsequently, they ask if a coalition government will be established this time. In the wake of the June 7 election, President Recep Tayyip Erdoğan has done everything to influence the results of the Nov. 1 election and ensure that the Justice and Development Party (AKP) comes to power as a single-party government under his tutelage. In this process, Erdoğan has relied mainly on the war he declared against the Kurdistan Workers' Party (PKK). According to his plan, as the number of people martyred in the so-called fight against the PKK increased, this would boost the AKP's vote, but things didn't work out that way. The sudden resumption of violence after a long hiatus and the fact that the PKK's attacks are proving to be more violent than predicted have caused the relatives of martyrs to publicly express their reactions to Erdoğan and the AKP. Not just the reactions of the martyrs' relatives, but also surveys have indicated that the general public doesn't believe resuming the war was part of a counterterrorism campaign against the PKK. The decline in the AKP's vote and the increase in the pro-Kurdish Peoples' Democratic Party's (HDP) electoral backing were the real reasons the AKP jettisoned the settlement process and started to deny the very existence of the Kurdish issue. And this was expressed at every opportunity. In short, President Erdoğan's plan to lure some Nationalist Movement Party (MHP) supporters to support the AKP and ensure that the HDP cannot pass the election threshold by using the war declared on the PKK has led to consequences to the contrary. According to the polls, both the MHP and the HDP maintain the same electoral backing. 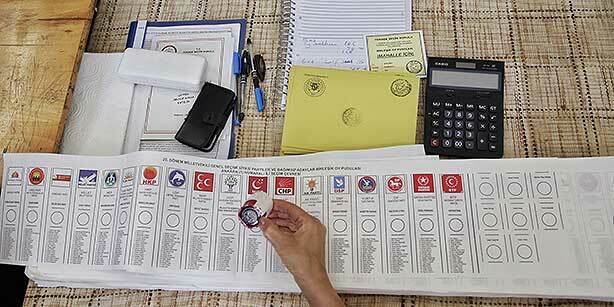 All of the recent polls imply that the AKP's vote will be higher than what it secured in the June 7 election. Yet, Erdoğan and the AKP leaders know very well that the AKP's vote is lower. The main reason the AKP seems to have maintained the vote it secured in the June 7 election is that floating voters are distributed based on the percentages parties get before such distribution. Yet, polling experts explain that this is wrong. What should be done is that around 60 percent of the floating voters should be distributed, taking into consideration the party's trend compared to the previous poll. Moreover, they add, this ratio will decrease as election turnout increases. Now, let's get to the real question: Will Erdoğan permit a coalition government based on the outcome of the Nov. 1 vote? Let me say in the beginning what I will say in the end: A coalition is an unlikely option because Erdoğan's red lines haven't changed since June 7. What are these red lines? Erdoğan has two red lines and he won't backpedal from his position unless he obtains a guarantee for an "exit strategy" regarding these red lines from the coalition government to be established. The first one is about the graft and bribery scandals that went public on Dec. 17, 2013. The second one is about any effort to restrict the way he uses the presidential position arbitrarily and in breach of the Constitution. These red lines will determine the future of any coalition. Given the fact that the opposition parties have their own red lines concerning the same matters, it wouldn't be unrealistic to say that after Nov. 1, the country will go through a process similar to the post-June 7 election process. Erdoğan will give the task of forming the government first to acting Prime Minister Ahmet Davutoğlu. The popular expectation is that the AKP will form a coalition government with the MHP in a worst-case scenario. However, I believe that it is more likely for Davutoğlu to form a coalition government with the Republican People's Party (CHP), including the "alternating prime ministry" option. What makes these options very unlikely is this: The decision-maker regarding any coalition is not AKP leader Davutoğlu, but Erdoğan, as was the case after the June 7 election. Can the CHP spoil the game? When we take this scenario as a given, the strongest possibility is that the CHP will carve itself a role out of the situation and propose a coalition option -- the CHP-MHP coalition backed by the HDP, or the CHP minority government backed by the HDP and the MHP-- and pressure Erdoğan to grant its leader, Kemal Kılıçdaroğlu, the duty to form the government. In the end, I would like to share the following bit of information with you. As I hear it from sources close to the palace, Erdoğan will not give Kılıçdaroğlu the mandate to form the government, just as he did previously. The rumor has it that the palace intends to press for another early election in April or May of 2016. The AKP deputies are aware of these scenarios and the visits they pay to former President Abdullah Gül have been getting more frequent in recent weeks. The recent "fifth party" debate is the culmination of these visits. Let me disclose the following bit of information I have from figures close to Gül: Gül will not be in any game if Erdoğan is on the stage. In short, there are two things which may foil Erdoğan's plan to hold another election in April or May 2016: The political sagacity of opposition parties and the fair-minded politicians within the AKP. We will wait and see how the AKP's politicians will choose between the country's future and Erdoğan's fate. Summing it up, you can count on Erdoğan in that he will seek to take the country to another election so that Parliament does not work and the de facto situation is extended. The game doesn't end on Nov. 1; it is just beginning. 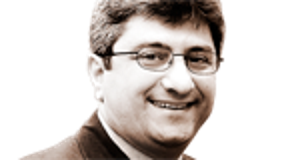 *Murat Aksoy is a journalist and writer based in İstanbul. Mill Brexit break the pound? Can a government decide which TV channels are broadcast? Is the Southeast becoming Syria? For whom do our police and MİT really work? Was Turkey’s Nov. 1 election rigged? Why did Turkey’s Kurdish party stop its march from periphery to center? The Saudi-Iranian conflict: Is it the beginning of the end? Will the presidential system bring democracy as well? Turkish police fired tear gas and used water cannon on a crowd to forcibly enter the country's top-selling newspaper on Friday after a court ordered its confiscation. 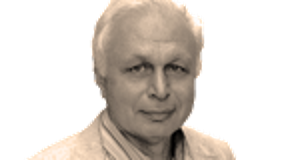 Can Turkey return to democracy?